In the pan the product doesn't look amazing (although it is) but it does look like Shimmering Sands. As you can see Shimmering Sands is a more wearable colour and instead of being an orangey bronze it's a more flattering shade. 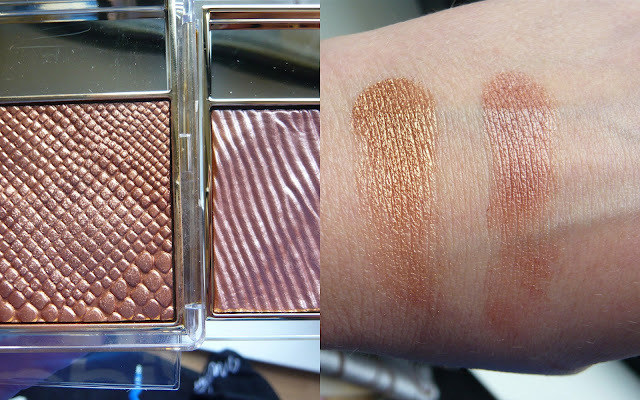 I definitely think this colour will suit a lot of people better than Topaz Chameleon. 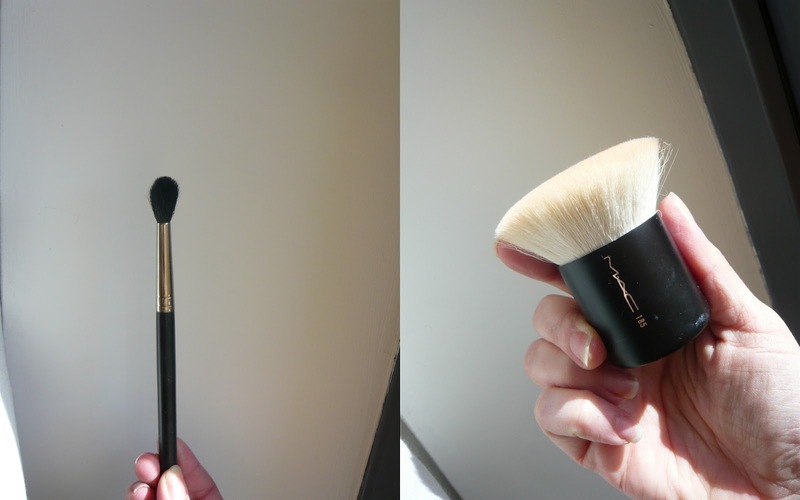 Generally I use a small fluffy brush to apply Shimmering Sands (this is what MAC were using to apply the Extra Dimension highlighters that were made of the same consistency as Lauder's Gelee's - the makeup artist told me to hold the end of the brush and let the brush do the work). I suppose this stops you from piling on the product and I for one tend to be a bit heavy handed with bronzer. My favourite places to bronze are along my hairline and on the tip of my nose, this creates a very natural look cause it's where the sun naturally hits. I love that this product almost creates that sunflushed glow as if you're just in from the sun. After I apply using the fluffy brush I blend out using a big soft kabuki (I use MAC 185 that I picked up in a CCO years ago) and Ta Da you're left with a natural Bronze Goddess look. Estee Lauder's Bronze Goddess Collection has been exclusively available in House of Fraser since April where the Illuminating Gelee cost €37.00. The collection is now at all Estee Lauder counters where it costs €34.00 (whats with that extra few Euro HOF? ).